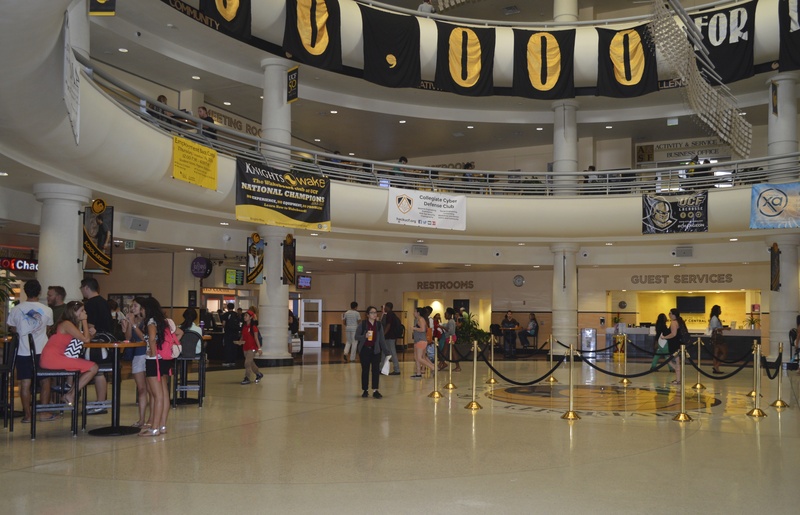 The University of Central Florida recognizes a “Social Justice Week” annually. The week is filled with events that demonstrate and promote the idea of being an open-minded, socially conscious individual. The lunch, catered by Subway, was the quintessential opportunity to socialize with people of various cultures, sexual orientations, and economic backgrounds. With the onset of the recent inauguration, people had a lot to say about their opinions on social justice and why they decided to come there. Luis Mujica is a senior studying health sciences and creative writing. He is a proud member of the LQBTQ community. He was open about why this event was so important to him. Jamie Booth, a senior interdisciplinary studies major also discussed what social justice means to her. Jil Shah is a sophomore biomedical science major. She expressed the struggles that she faces as an Indian-American and female in general. Shah later expressed that she was not prepared for the new presidential transition going from a president that is a self-proclaimed feminist to one that she believes does not share those beliefs. Conversations continued from a faculty in the engineering department, Stephania Hayes. She shared her thoughts on being an African-American woman with a unique name and rocking her natural hair in the workplace. The ambiance of the lunch was very open and carefree. The majority of the conversations allowed for people to express their personal opinions without judgment.